Our recent updates have covered union negotiations with Sobeys in Saskatchewan and in Manitoba. Some of you are wondering what is happening in British Columbia. This week, UFCW Local 1518 issued a press release that is instructive and helpful to understanding the labour relations context there. 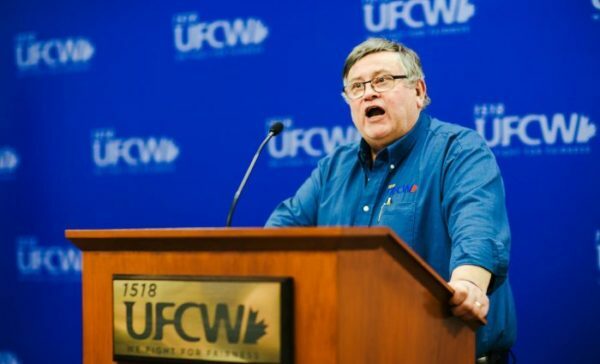 Notably, Vince Ready, the same person who wrote the Saskatchewan recommendations that became the settlement in that province, has been appointed by the BC Government to intervene in stalled negotiations between UFCW 1518 and Sobeys. Local 1518’s statement speaks for itself, and we provide it here in its entirety. NEW WESTMINSTER, April 4, 2018 – British Columbia’s Minister of Labour Harry Bains has appointed Vince Ready as special officer in the dispute between UFCW 1518 and Sobeys, owner of about 60 Safeway stores across the province. Minister Bains made the appointment after President Ivan Limpright requested the government’s assistance when negotiations for the reopener of the collective agreement stalled last month.